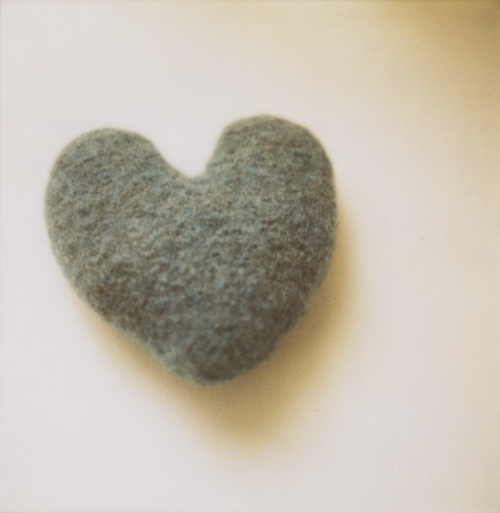 mad orange fools: Felted heart. I've been experimenting a lot lately, making smaller things and random things. To make this, I knitted two heart shaped pieces and then stitched them together, leaving a one-inch gap at the bottom for stuffing. Felted it in the washing machine. It turned out pretty well and was a quick project. A gift for a friend who likes hearts. aA beautiful gift for a friend who likes hearts and LOVES this heart! Thank you! !